Posted on 1, March 2016 by EuropaWire PR Editors | This entry was posted in Education, United Kingdom and tagged International student satisfaction, ISB Survey 2015, Newcastle University, Professor Suzanne Cholerton. Bookmark the permalink. 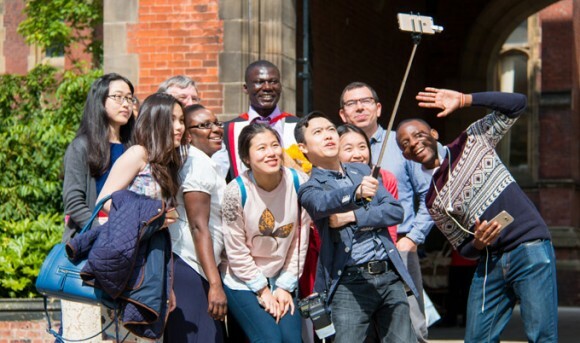 International student satisfaction at Newcastle University is one of the highest in the world, according to recent survey results. NEWCASTLE, 01-Mar-2016 — /EuropaWire/ — The International Student Barometer (ISB) Survey 2015, conducted by i-graduate, gave Newcastle University an overall satisfaction rating of 93% amongst its international students with strong scores for teaching, student support, living experience and campus facilities. The ISB autumn 2015 survey, administered in 172 institutions across 18 countries, analyses the views of international students on a range of aspects of their experiences at the university. The main topics covered by the survey are pre-arrival, arrival, learning, living and support. International students placed Newcastle University among the best in the world for the learning environment on campus. Library facilities satisfaction was ranked highly, with 96% of international students saying they were satisfied with the physical and digital library resources. Support from IT services received a 97% satisfaction score. Newcastle students were also highly likely to recommend the University to others: 88% said they would encourage others to apply to the University. Overall support scored 92%, including high satisfaction with the International Office (98%) and campus environment (96%). Students reported feeling safe on campus with a 93% satisfaction rate for safety. Professor Suzanne Cholerton, Pro-Vice-Chancellor, Learning and Teaching, Newcastle University, said: “The fantastic results are a credit to everyone at Newcastle University who helps our international students make the transition to studying here as easy as possible. “The high score highlights our focus on student satisfaction and providing the best possible opportunities for learning provided by excellent facilities, where our students can fully realise their academic potential. In addition to academic support we actively support our students’ professional development through our award-winning Careers Service. Student Wellbeing offers a range of advice and support to our students, including visa guidance, mental health and counselling. Safeer Shersad, from India, is a third-year BA Architecture and Urban Planning student. He said: “I chose Newcastle University because it is ranked very highly for my course. As well as being an excellent university, the city of Newcastle is beautiful and teeming with culture, while being compact and affordable: the perfect combination for a student. “The design work is a highlight of the course. You get to work closely with peers and use the advanced university facilities available to students. These latest results come on the back of a number of other independent surveys where Newcastle University has also scored highly. The Times Higher Education ranked Newcastle University 88th out of 800 universities from all over the world for ‘international outlook’, which measures the ability of a university to attract undergraduates, postgraduates and faculty from all over the world. The same publication also placed Newcastle University 10th in the UK in its 2015 Student Experience Survey and third in the country for the quality of staff and lecturers. Newcastle University also achieved an overall satisfaction score of 91% in the latest National Student Survey. The result means that nine out of 10 students are happy with their time in Newcastle – placing it joint 6th in the UK against our comparator institutions.